choreographeed for many dance groups in Seattle such as: Breed Seattle, Cruz Control, Potion, Kontagious Movement, Boom Katzz and Phyzikal Graffi-T. reg has won several scholarships from the dance convention, Monsters of Hip Hop and has had numerous performances in Los Angeles, including Choreographer's Carnival. In 2009, Greg competed against hundreds of dance crews for MTV's "Americas Best Dance Crew" with the success of making it into the top 10. Dezi was competing in jazz, lyrical and tap along the west coast before training in Seattle, Washington, emerging into the hip hop dance scene at the age of 16. An original member of Cruz Control (Daniel Cruz) and Breed – Seattle, Desiree trained amongst her peers at Westlake Dance Center. She has also worked with Tabitha and Napoleon, Kevin Maher, Marty Kudelka, Teresa Espinoza and other known professional choreographers as a Monster of Hip Hop Alumni. Dezi’s passion for dance can been seen through her involvement in the dance communities in Seattle and traveling down to Los Angeles to occasionally train. She is now an instructor at Westlake Dance Studio. 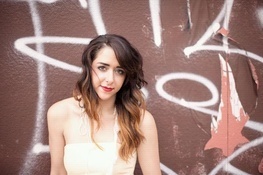 Carlena is a driven, dedicated performer with an extensive training history in hip hop and the funk styles. Her love for the stage shines bright and bold through the world tours, film and television, and music videos she's done. Carlena just finished Justin Bieber's 'Believe' world tour, and stars in the tours documentary film now in theatres. She's had the pleasure of working for artists such as Prince, Ne-Yo, Jason Derulo, and Zendaya to name a few. You can also catch Carlena acting in the Nickelodeon film 'Rags' where she plays Keke Palmer's best friend, Tammy. Carlena Britch lives in Los Angeles, California where she works as a dancer, actress, model and nail artist. Drew began dancing at the age of 4, studying ballet, jazz, tap, hip hop, lyrical, and contemporary. He danced competitively with Allegro Precision Dance Company for 13 years winning national titles from Dance Educators of America, Dance Champs, and West Coast Dance Explosion (WCDE). Additionally he received scholarships from WCDE, Alvin Ailey, and Millennium. Drew performed with Seattle Storm dance troupe starting in 2006 where he served as co-captain in 2009 and captain in 2010. In 2011 he performed in “Dance This” with Daniel Cruz, and “West Side Story” choreographed and instructed by Joey McKneely. Drew has also assisted with choreography for multiple school dance teams. Drew has been teaching hip hop since 2009, instructing students of all ages in local schools and dance studios. He Currently teaches at Dance Explosion & Dance Arts. He began choreographing for competitive dance in 2011-Present where his routines scored in the top 5. In the last couple years he has been teaching hip hop, jazz, jazz funk, contemporary/lyrical, competition, and more as he loves to share his passion of dance. In addition to his dance talents, Drew is the owner of AMBICX Productions which provides audio/video mixing and editing, and professional DJ services. Daniel is experienced in many different types of roles in the dance industry. He has danced for artists such as Prince, Ashanti, Nsync, Michael Jackson, and the Jabbawockeez with choreographers such as Wade Robson, Fatima, Marguerite Derricks, Tabitha and Napoleon and the like on stage, television, commercials, video nationally and abroad. Daniel has performed in the MTV VMA’s, BET Music Awards, Much Music Awards, and on Prince’s music video, Musicology. Daniel was in the North American tour and cast album of Fame: The Musical and in Brian Friedman’s instructional dvd, Freestyle. He has appeared and served as Dance Captain and choreographer in numerous musicals at the 5th Avenue and Village Theaters. Born in Lakewood Washington and proudly graduated from Stadium High School. Kayne teaches at local schools and studios as a guest instructor/choreographer and has experience as a dance instructor for Metro Parks and founder of the dance team “VarSityCrew”. The age range of students taught is wide variety anywhere from 5 years old - adult. He is a choreographer currently teaches at Blue Dog Dance. He is majority self-trained but has taken classes at freedom dance center , Tacoma city ballet as well as some master classes from people such as Tamara Rapp(8 Flavahz) and Daniel Jerome (Chapter1NE). His team and him have performed at places such as Summer Jam ,Taste of Tacoma, Ethnic fest ,Tacoma’s First Night and many more to come. Kayne is a strong believer in “Everything happens for a reason” as well as pushing his dance under the standards of dancing to express as opposed to impress. Everyday he is looking for a way to better himself as a dancer and grow as a leader. Andrew began dancing at age eighteen for a school project. Who would have thought six months later it would have engulfed his life so completely. Andrew was offered a teaching position soon after and hasn’t stopped since. “It’s my passion in life, training, and helping others grow in their careers.” With thirteen years of experience fulfilling just that, no one can dispute his talents. Additionally, he continues to work closely with Kolanie Marks after 10+ years, is a co-founder of KreativMndz, and has been dancing and choreographing for shows such as WeDay, America’s Got Talent, and World of Dance just to name a few. Andrew has truly cultivated a name for himself. He is an extremely positive teacher who wants to change the way his students learn. “I want to make you learn faster, so you can accomplish more in an hour.” Demonstrating his own work ethic outside the teaching world, Andrew makes the most of his time with his family and wife while managing I-Ace, a dance app and oversees the KreativMndz magazine. Andrew Faulkner is very highly sought after and an even highly respected name in the dance scene. Dezmond Garcia started dancing in 2011-2013 with his high school dance team Todd Beamer High School, later becoming captain helping lead his team to an undefeated season, ending his high school dance career as a nationally ranked choreographer. Strait out of high-school Dezmond applied to multiple studios and eventually got an offer from South Side Dance Force Studio in Kent. Dezmond began not only teaching hip-hop but trained 20+ hrs a week in ballet, modern, and jazz. Inspired to make a difference in his dance community. Dezmond established the Artisans Movement in July of 2013. Artisans Movement is continuing to grow through classes, merchandise and music videos on YouTube even recently performing at World of Dance 2013, giving intsant local recognition. Artisans main goal is to give both experienced and amateur dancers proffesional dancing opportunities; either through classes, music videos, or performing at local venues. Wanting to be more than just a hiphop performer, Dezmond was currently accepted into the dance program of Cornish College of the Arts in Seattle, as he will begin this fall of 2014. Dezmond is continuing to better myself and his dance community by working and dancing with anyone at anytime! 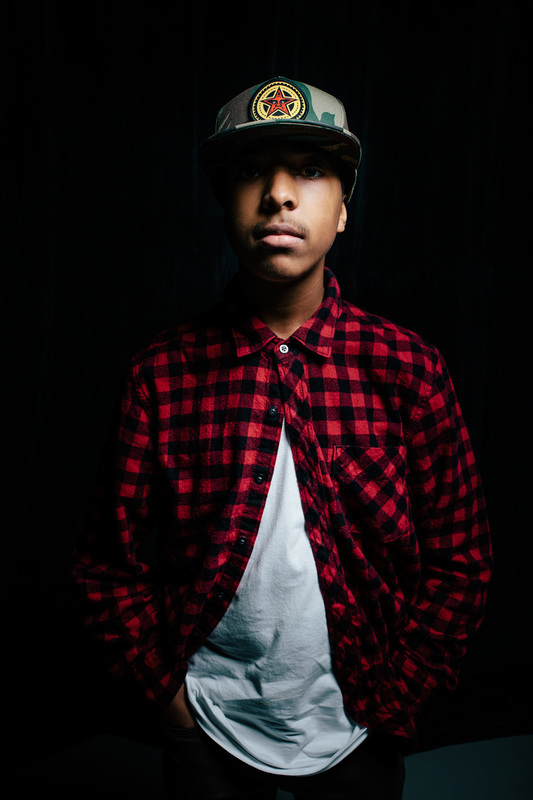 Avery has been active in the world of Hip Hop for several years. He is a crew member of "Emerald City Elite" (ECE) dance crew, formed at MDU, & choreographed by Macklemore dancer, Kisha Vaughan. Avery teaches Teen Hip Hop at Melanie's Dance Unlimited (MDU) where he was also trained in jazz and ballet. He earned the title of "Student of the Year" in 2011 and he brings his own unique sense of style to his dance. As a WNBA Seattle Storm Dance Troupe member, Avery performs in front of thousands weekly at Key Arena. He also choreographs and dances with "ACE Trio", made up of two other ECE crew members. As a dancer & choreographer, he has won top awards at numerous competitions. As a crew member & solo performer, Avery has performed at the Bite of Seattle, Festival Sundiata, Key Arena, the Puyallup Fair, the Seattle Aquarium, Whirligig, WinterFest, World of Dance, & many other local venues. A professional dancer and choreographer - has been dancing since she was two years old, beginning at West Coast School of the Arts in Irvine, California. During her time spent there, she was vigorously trained in jazz, lyrical, contemporary, ballet, and tap. She began working in the industry at the age of seven and exploded onto the scene as an entertainment contender. Angel has danced in countless television shows, some including Kid's Choice Awards, Dancing with the Stars, X-Factor, Shake It Up, The Voice, Video Music Awards, BET Awards, and many more. Her talents have also been featured in music videos alongside artists such as Ciara, Shakira, Missy Elliot and Willow Smith. In addition to having a vibrant career in the entertainment industry, Angel has also trained with world renowned choreographers such as Brian Friedman, Tessandra Chavez, Dave Scott, Tony Czar, Fatima, Jamaica Craft, Rosero McCoy, Willdabeast and many more. The extent of Angel's training has made her into a well-rounded and inspiring dancer, and currently provided the platform of her being best known as a member of the all girl group, 8Flavahz, who were the runner ups on America's Best Dance Crew (ABDC) during Season 7. This opened the door to many creative opportunities including touring throughout the United States with the NRG Project alongside the Iconic Boyz from ABDC. Currently, Angel is touring with World of Dance with members from 8Flavahz in multiple cities across the country. Angel is now beginning her journey as a teacher and has already taught classes in the Los Angeles area for the past two years. Daniel (born April 30, 1991 from Spanaway, Washington) is a self-trained dancer that started b-boying in 2003 & began choreographing in 2008. Since then he has taught workshops, won local b-boy/all style competitions, toured Asia dancing for korean popstar, Jay Park, featured in music videos, and continues to travel the world teaching at dance camps/conventions. He is also a member of the Seattle known b-boy crew "Art Of Movement", founder of the dance crew "Chapter1NE", and has experience as a dancer/instructor at "Soreal Performing Arts Center" in Houston, TX (Winners of first World Of Dance in Houston 2013). He hopes to continue sharing his love for dance through his work online and inspiring students around the world. In 2007 she became serious about her passion for hip hop and began intense training and accomplished much in a short amount of time. By 2008 she became dance team captain of her high school, as well as began teaching hip hop classes all over the area. She has also performed with various dance groups at many community functions and events. She had the opportunity to travel overseas to as a back up dancer for a famous Taiwanese artist on a world tour. Most of her students look up to her for her most recent performance with Macklemore at Bumbershoot, and appearance in his "And We Danced" music video. Shaila started dance classes at the age of 3. Ever since then she's made her way from studio to studio learning different techniques from many different inspiring instructors/choreographers. At 8 she started to dance competitively. Shaila enjoys learning every style of dance, but hip hop is definitely her passion. She feels that In hip hop you can tell a very aggressive story or go the opposite route of a more heart touching story. By the age of 14, she auditioned to her high school competition cheer squad (Franklin Pierce) and made varsity. Cheer became a very large part of her life throughout high school. Over time she has been asked to help choreograph dances for her cheer squad and other squads. At 16 she auditioned and became a member of NCA All-Star Cheer Squad. At 18 she began getting involved in dance again, being out of hip hop for so long meant lots of hard work. But She put in long days and nights at the studio, which paid off. Shaila is currently teaching at Payette’s School of Dance and dances for a crew outside of the studio. At the young age of 19, she feels she has accomplished a lot, and I realizes that she still has a long road ahead, but she is definitely determined to take her style hip hop to other places and inspire many dancers. Founder. Artistic Director. Artist Developer. Mentor. Choreographer. Kolanie Marks is the Founder of KreativMndz Magazine and Seattle’s first dance agency, Kreativ Mndz Dance Complex. 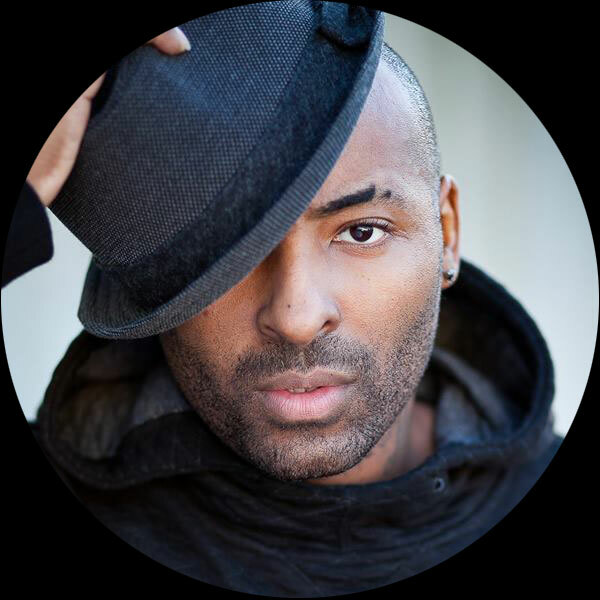 With over 10 years of experience in training dancers, Kolanie has easily become one of the most highly known and well respected choreographers in the industry. With persistence and tenacity, Kolanie has mastered his unique cultivating style of movement to such a dominating level that his work isn’t only spot-lighted locally, but is visibly noticed internationally. Kolanie has consistently mentored and trained many of todays’ youth and young adults; and is committed to making a positive difference in his community and this generation of entertainment, Performing Arts and Dance. Besides his passionate love for dance, Kolanie’s strong faith based mentality has helped him to inspire others to know that with on-going hard work ethics and perseverance, everyone has it in them to show the world their God given “KreativMndz” talent. Jane is a dancer first and foremost and will at every opportunity train in various styles from as many different teachers as she can. She believes this training can only add to her physical vocabulary and constantly push her boundaries when choreographing. When not on the road travelling, Jane teaches regular drop-in classes at the University of British Columbia & the British Columbia Institute of Technology in Vancouver. She also dances and choreographs for her dance crew Diamonds in the Rough, which enlists some of the top female dancers in Western Canada. Della Martinis grew up a "studio kid" starting hip hop at the age of 5 and later competing in hip hop, jazz, and lyrical for about 8 years. Over the years she has received numerous dance awards, scholarships, and choreography awards from competitions and conventions such as Monsters of Hip Hop, JUMP, West Coast Dance Explosion, and more. She has trained and performed with choreographers in Seattle such as Daniel Cruz, Andrew Faulkner, Kolanie Marks, Cameron Lee, Greg Baja, VJ Frijas, Yoshi Wright, and Kirstin Cooper to name a few. On a larger scale, Della has performed at shows in Los Angeles alongside other industry dancers and has worked with Tabitha & Napoleon D'Umo, Marty Kudelka, Kevin Maher, Laura Edwards, and Isaac Tualualelei. Chloe Puff was born in Seattle, WA, and studied Ballet and Contemporary dance before she began extensive Hip Hop training in 2004 under the direction of Kolanie Marks. In 2010, she joined the faculty of the Connection Performing Arts Center (CPAC), teaching all levels of Hip Hop dance. While teaching at CPAC, she traveled to Harbour Dance Centre in Vancouver, CA and H3 Studios in New Orleans, LA, where she taught Master Classes in Hip Hop. Born and raised in Hawaii, he started dancing in high school for talent shows and school assemblies. He moved to Tacoma when he was 21 after returning from US Army basic training. He began taking classes and made his own choreography and videos. Months later he received a teaching position at Koncrete Movement at Freedom Dance Center in Tacoma. He now teaches at Freedom Dance, Surge Dance Center, and Harbor Dance. 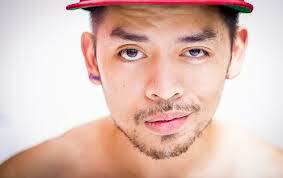 He is also one of the choreographers and directors of NoDef crew. Phillipine-born John Roque, or “John-John”, is an up and coming Hip Hop choreographer, who has trained and worked with some of Seattle’s top choreographers and instructors. He’s loved dancing since he was young but only recently developed a true passion for it during his attendance at Shorecrest High School where he was part of the Hip Hop Dance Team, under Rex Kinney and Kenny Harlow. Since graduation from high school he became part of the original Rated PG under Kolanie Marks and Andrew Faulkner. He then later on joined Cameron Lee’s Hip Hop group Potion and Kevin Nguyen’s Entyce. John Roque has also worked with renowned choreographer Daniel Cruz and became a cast member of Daniel’s yearly Hip Hop production, Battle of Seattle held at the Moore Theatre. 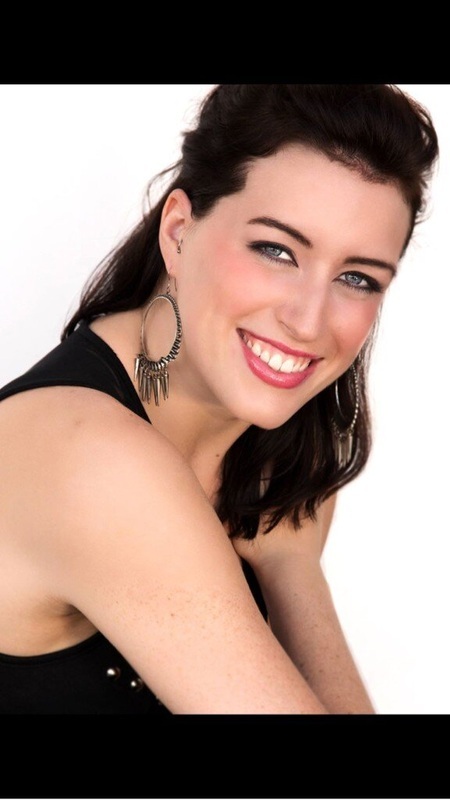 Emily, originally from Connecticut, is a Dancer/choreographer now based out of Denver, Colorado. She has travelled all over the US and Europe to work with various studios, high schools, universities, and professional dance teams. Best known for her high energy classes and innovative chorography. Emily has also been a dancer on DanceOn's D-Trix Presents Dance Showdown, On Air with Ryan Seacrest Favorite Dancer Finalist and has had her choreography featured in national and international commercials. Emily proudly continues to share her love of dance with her everyday students as well as students and dancers all over the world. She is thrilled to be on the journey with EVQ Elite Dance Studio! Has been dancing since a child influenced by jazz and hip hop coulture founder of the NEW ZOO BOYZ is the 1st branch of the ZOO NATION name. Maintaining the visions and desires to set standards while inspiring audiences. Having the objective was to create effective entertainment that would provide a platform for young individuals to perfect their craft. Recently attending the movement lifestyle tour,performing at world of dance Seattle he is also a member of a number of crews MVP SOCIETY,NEW ZOO BOYZ and C.E.O OF ZOO NATION INC. AND HAVE OPEN FOR A NUMBER OF ARTIST SUCH AS E40,CASE,CARL THOMAS,LUPE FIEASCO,LLYOD AND ALSO PERFORM TWO TIMES ON B.E.T "WILD OUT WEDNESDAY" in New York. I discovered my passion in dance, I was playing sports, and as I was growing up I always had a really crazy attraction to music. My mom, being my mother, realized that. Without telling me first, she signed me up for a beginners hip hop class at the age of 12. The moment I walked into the first studio I ever stepped foot in, hearing the rhythm through the walls and the bass on the floor, I was instantly in a trance. Ever since that moment, I've been a totally different person. If it wasn't for my mom signing me up for that level 1 hip hop class, then I'd still be out there in the world wondering what could've been. From then on, I began to train myself in my garage, day after day, night after night attempting to be the dancer that I saw myself as in the future. I built myself from the ground up, watching and studying dance videos, researching dance moves, learning the history of hip hop, and getting myself to move in the way I wanted to move. I got to a point where, without knowing it, I was creating choreography in my head. That's how I know I was meant to be a choreographer, and that's where me journey began. Every piece I create has a deeper meaning behind it, which I create to specifically make an impact on other people. I started with Elite School of Dance, they helped shape myself as far as technique and essentials for my movement. 2 years later coming out of the studio, they offer me a job teaching there. And once I left after those 2 years, I immediately began getting offers from choreographers and dancers in the industry to work with them. Dance means the world to me, it's our universal language. Sometimes, it's the only way I know how to speak. "You can't be something you've never been, if you don't do something you've never done." Monae was on the Seattle Seahawks Cheer Squad for two years. She also danced with the Seattle Super Sonics Dance Team for four years and recently danced with the Washington Stealth Bombshell Dance Team (Professional Lacrosse team). She is now the director of the Bombshell Dance Team. Monae is in her fourth year as the choreographer of the WNBA Seattle Storm Dance Troupe. She also teach es hip hop classes to kids ranging in age from 5-18 at the Renton Community Center. Has been dancing in and around Seattle for the past 12 years. Kisha is one of the original Macklemore & Ryan Lewis backup dancer (aka Macklorette). In her short time here she has had the opportunity to dance with Break Point Dance Company, In Effect Hip Hop, and Seattle Storm Hip Hop squad. Appearances include Showtime at the Apollo and MTV's Made. 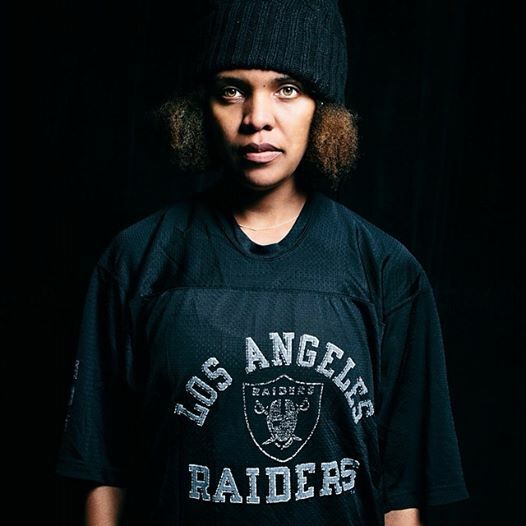 Kisha has performed at a number of venues and events in Seattle including Folk Life Festival, Bumbershoot, opening for Snoop Dogg, Blue Scholars, Wiz Khalifa, Microsoft, and T-Mobile events. Currently she teaches Hip Hop and choreographs for Emerald City Elite competitive team. Click here to read her full interview and here to listen to her "FNHH - In the Cut" interview. Jason was born 1985 in Lacey, WA has been dancing since he was 12 years old, started teaching when he was 16, and since then has taught at numerous studios in Washington State including Dance Direction, Studio West, and The Connection. He has had training from the best including most of the monsters of hip hop faculty and Kolanie Marks and has choreographed for several dance teams, local and aspiring music artists, and performed for gigs like Seahawks halftime show, club events, Microsoft, unrated hip hop showcase, & much more! He moved on to performing with "The Gentlemen" and the PG Family. Born in Toronto and raised in Vancouver, Teya started her dance journey at the age of eight and has never looked back! Training in every style she could, (competing in many), her years of experience include: RAD ballet honours graduate, Pointe, tap, jazz, lyrical, contemporary, musical theatre, hip hop, & the funk styles. Her love and passion for dance led her to training and travelling opportunities such as judging and adjudicating across Canada, the SOULdiers Hip Hop Co., Monsters Of Hip Hop Dance Convention: Three time nominee finalist and touring all over BC with Project Soul's Hip Hop educational performance crew, "Art Starts", spreading the love and knowledge to students about Hip Hop's history & its aspects. Some of Teya's credits include: So You Think You Can Dance Canada: Season 4, Disney Movie: Zapped, Much Music Video Awards: PSY Performance, Over The Rainbow, Russell Peter's: Christmas Special, Cobu 3D, Sucker Punch, Percy Jackson & The Olympians: The Lightning Thief, Victoria Duffield- Western Canada Tour, Music Video: Shut up and dance, Nickelodeon Movie: Spectacular, Another Cinderella Story, Center Stage 2: Turn It Up, and Radio Disney. Teya has over ten years experience teaching high ranking competitive groups all over Canada.